Our Crew—Green Squeegees. Maximum Talent. We’re a small company with high expectations. We value training, communication, hard work, responsibility and problem-solving. Our crew members are thoughtful, positive, hardworking professionals who find satisfaction in doing every job well. We take special care to understand your unique needs and protect landscapes, artwork and pets. Our crew leaders undergo regular training and evaluations to improve and grow. All Mr. Sparkle crew members aspire to be leaders in our company and in our industry, and many have been with us for years.. In 2001, after graduating from San Francisco State University, Dylan Kelly started Mr. Sparkle Window Washers with a truck and a bucket. 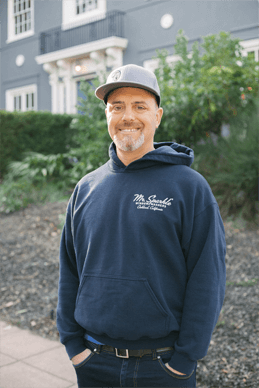 The discipline he honed in the military, the management skills developed as a contractor, and his ability to develop and implement sustainable business processes all came together in the window cleaning business. The response to his honest approach and positive work style was immediate. 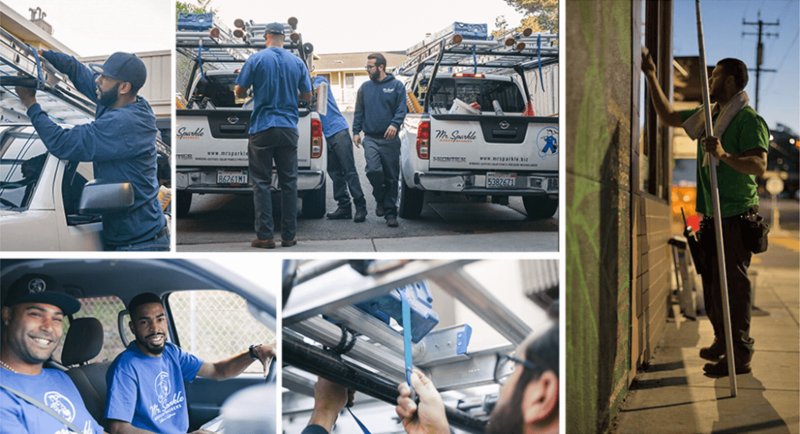 Today, the company’s high level of service and Dylan’s passion to see others excel continue to shape the business and propel Mr. Sparkle forward.